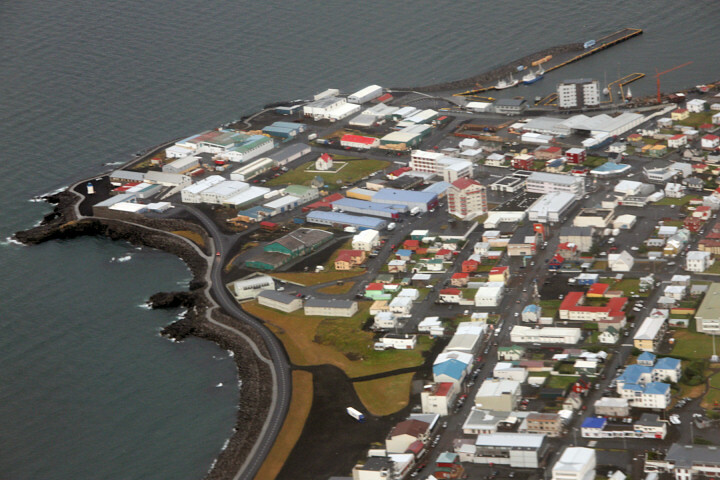 English: Keflavik in Reykjanesbaer as seen from a plane taking off from Keflavik Airport. Polski: Keflavik część Reykjanesbaer. Widok z samolotu startującego z lotniska w Keflaviku. Outside Wikipedia projects you must attribute the work to the author: Marek Ślusarczyk or www.microstock.pl. In case of any doubts feel free to e-mail me: marek (at) microstock pl. Globaal gebruuk van dit bestaand bekieken.